Pro Test 180 Review - Is this trial offer a scam? Pro Test 180 Review – Is this trial offer a scam? Pro Test 180 is a testosterone booster, currently available for trial. What benefits does this product offer? Can its ingredients Can help promote testosterone production as suggested? Please continue reading to find out for yourself. How does this product help provide these benefits? The next step is to look at what ingredients have been used. 4 Is the Pro Test 180 trial offer a scam? The ingredients used in Pro Test 180 have been listed in the footer section, with ingredients such as Calcium, Rhodiola and Boron mentioned. However, the main website mentions the use of Tribulus Terrestris, so it is strange that this particular ingredient is missing from the actual label. 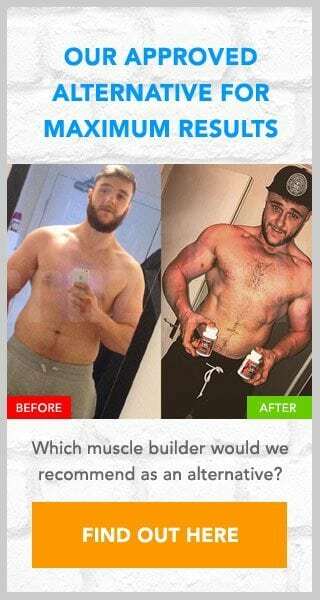 Tribulus Terrestris has been shown to boost testosterone levels, so if it is present I can certainly see some benefit to this product. The true cost of Pro Test 180 can be found in the terms and conditions. If you were expecting a free trial then you are going to be disappointed, with the T&Cs stating that once the 14 day trial period has ended you will be charged the full purchase price of $89.47. These T&Cs also state that at the conclusion of the trial you will be automatically added to an auto-ship program. So further monthly deliveries and charges will be sent to you. To stop these auto-shipments you will need to contact them (details below). Is the Pro Test 180 trial offer a scam? There are doubts surrounding the ingredients used, with the main ingredient mentioned missing from the actual label. However, the main issue is the price of this product. There is little doubt in my mind that those who sign up for this offer are going to be annoyed once they realise just how much it is going to cost. This is why it is important that you do your research before handing over your credit card information. Please leave a message for us below if you have used this product. We would love for you to submit your own review. D-Bal is our suggested alternative, and it is available to buy online from the Crazy Bulk website. This product contains proven muscle building ingredients that has been shown to mimic the benefits of the banned anabolic steroid Dianabol, but without the side effects. D-Bal is legal to buy and use, and as it is not available for trial you can buy it without having to worry about any hidden charges or unwanted repeat deliveries. I just ordered a $4.99 30 day free trial. I would like to cancel before charged additional fees. I checked my account after purchase, and it appears I have already been charged $90.00!! This is egregious. Help! Shane, the above is a review. I would suggest using the contact details provided to cancel. Huge SCAM mediocre product, this is the only way they make any cash flow with this product is by not canceling your order, SCAM!! Do your self a favor research a better supplement provided by a more reputable company. I lost a 180$ a measly amount for them to make a profit so DON’T fall for it!! A hundred better and more natural products out there DON’T BUY THIS PRODUCT!!!! Has anyone yet to get a refund for these anauthorized charges? Beware!!! Do not order from this company. Ordered free 14 day trial. Ordered on the 24th. Received on the 30th. Called on the 13 to cancel but oh no your 14 day trial starts the day you order not when you receive the product. Lesson learned.